Our Secondary Program at MACC is focused on providing students in Grades 7 – 12 with strong academic programs, and equipping students to succeed in the changing world. Our Secondary Program is designed to help students achieve their best results and outcomes in education and extra-curricular areas. Students are given opportunities to expand their horizons and are encouraged to take responsibility for their own learning and for the welfare of others. 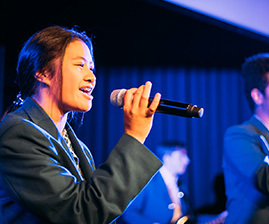 Secondary also provides students with appropriate leadership opportunities across a range of areas – in the academic and sporting arenas, in community service, in artistic, musical and movement expression and in College service. 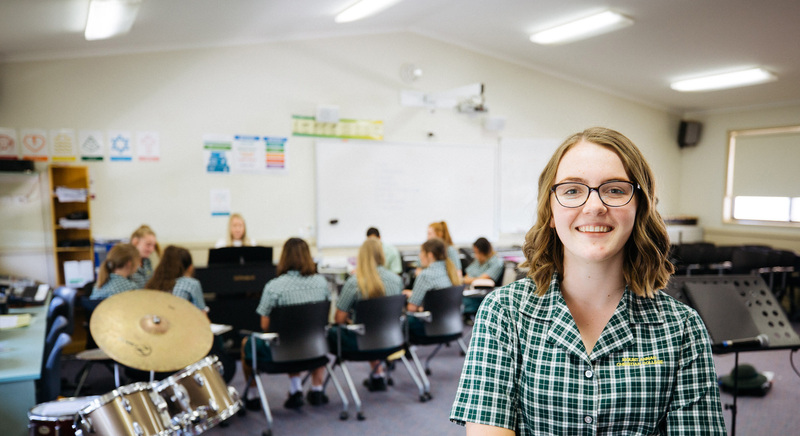 Students have a broad range of subjects to choose from in Stage 5 – Year 9 & 10 and Stage 6 – Year 11 & 12, and are supported and guided by qualified, dedicated and passionate staff. Courses are interesting, rigorous and challenging. With the support of the Careers Advisor, Stage Advisors, Heads of Faculty and academic staff, students are encouraged to examine their goals and aspirations, their strengths, their passions and the requirements for further learning beyond College years. 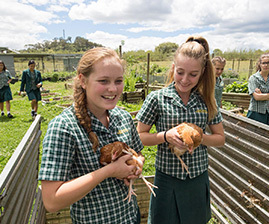 Our Secondary students get a broad range of experiences. We’re focused on developing adaptability, resilience, innovation and agility. We’re about providing leadership opportunities across a range of areas. MACC is committed to nurturing the holistic development of students, and preparing and empowering each student to succeed in future pathways. Over 95% of MACC alumni report to be enrolled in further tertiary education or in employment the year following school. MACC is set up to prepare well rounded individuals to make a valuable contribution and succeed post-school. 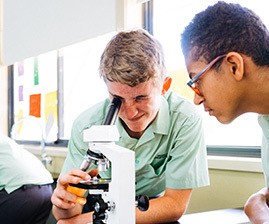 Our Secondary Program has a focus on creating post-school pathways for students through engaging with industry and tertiary providers, whilst also working with each student to help them identify their unique strengths and passions to be confident in pursuing their next steps. We understand that each student has unique strengths, abilities, areas of interest, gifts and talents, and we are passionate about helping each student know how they think, learn and how they can best contribute to each context they are in. The landscape of work has significantly shifted over the past decade. As our students graduate and enter the workforce, they will be entering a terrain which is constantly shifting and evolving – and we are intentional about equipping our students to thrive amongst that change. The demographic realities, generational transitions, global connectivity and rapid technological trends have radically redefined the nature of work. Whilst many jobs have been computerised, other sectors have been created as a result – from app developers to social media managers, people are working in jobs today which hardly existed a decade ago. The nature of work will continue to shift and evolve, therefore at MACC we are committed to educating students with not only the learning competencies they need, but also the characteristics of adaptability, resilience, innovation and agility that will position them to thrive in the workplace of the future.